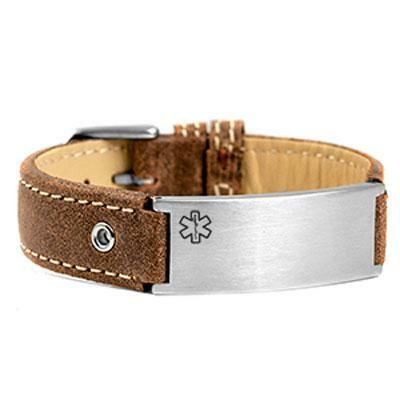 Our Harrison features a casual genuine leather medical ID bracelet band. Outlined caduceus medical symbol. You can have the front and back of the tag engraved with your vital medical information for added safety. No further discounts available on this laser engraved product.